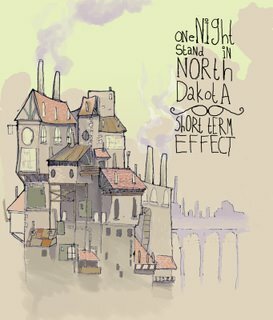 Our friends from One Night Stand In North Dakota are searching for shows in Germany from 1st to 10th September. They’ll play house shows, outdoor shows, pubs, clubs, squats, whereever. They don’t need electricity to play (the benefits of acoustic guitars). So if you can help them out, get in contact with them on myspace or write us here. Note: Their strictly limited split 7inch with Short Term Effect is now available at bisaufsmesser . You can still buy it from us, too. ONSIND/ Short Term Effect split 7inches arrived!